This home is loaded with charm and character but equipped with all the right modern upgrades. 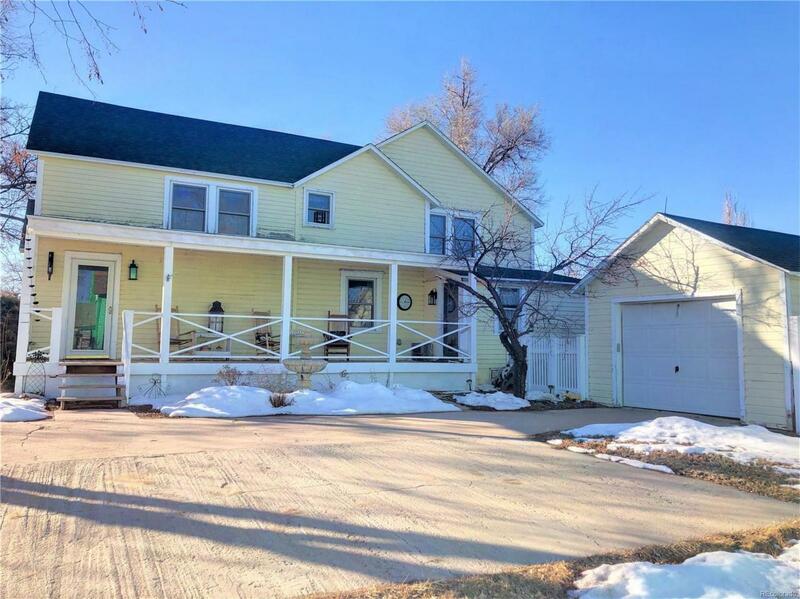 Located in an historical district in Limon, it is surrounded with a white picket fence. The exterior features a well established xeriscape backyard, potting shed, back deck, detached garage with cement driveway and a big covered porch. The main level features dual dining areas, laundry area, large living room with fireplace, bonus room , wood floors throughout, updated full bath and a completely remodeled kitchen. New cabinets, appliances, counter tops, farmhouse sink, back splash and an awesome reproduction metal ceiling were installed recently. A beautiful stairway leads from the front foyer to the second story. Upstairs has four very large bedrooms, 3/4 modern bath and nice open room instead of a hall. This is a one of kind home and a home people dream of owning.